Who would not want to own above ground swimming pools? They cost less and occupy a smaller space than inground pools. Having one is all fun until it is cleaning time. The need to keep the water sparkling clean is high and as a pool owner, you would only want a pool cleaner that could give you the best results. Some owners spend a lot of money and time to keep their pool clean and even hire professional pool cleaners, whilst others invest on built-in filtration systems. There are different types of pool cleaners: the suction-side, pressure-side, and robotic cleaners. 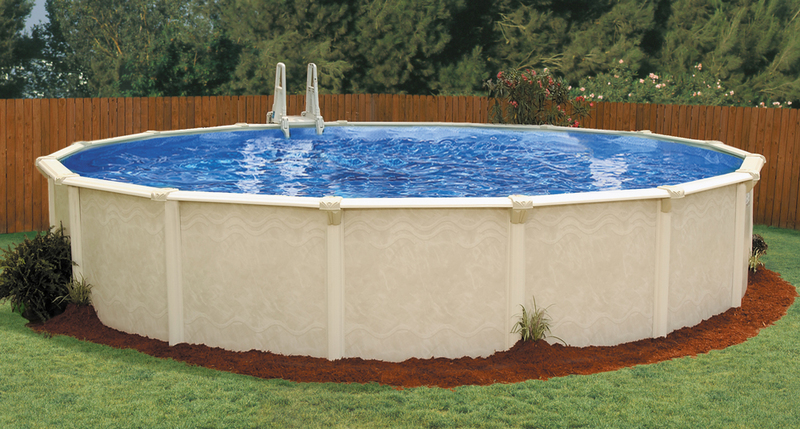 Many above ground pools come with built-in filtration systems. Lately, though, a lot of people have been shifting to using robotic cleaners. Here are ten reasons many pool owners are choosing them. Robotic cleaners remove as much as 2 microns of external pollutants. Aside from the pool bottom and waterline, they also clean your pool’s side walls, preventing algal build-up and avoiding possible bacterial growth. Robotic cleaners also filter floating and large debris, which basic pool filtration systems could not. At the same time, these robotic cleaners save you from the dreadful wires and hoses other types of filtration require. Plus, they provide you the convenience in terms of storage. They require less space in your garage. Whilst robotic pool cleaners cost anywhere from $200 to $1,000, they carry longer warranties. These little mechanical wonders consume less power, with a voltage of 70 watts per hour cycle up to 200 watts for the whole cleaning cycle. This could save you a total of 5 cents per hour cycle on your electricity. Unlike pressure-side cleaners, robotic pool cleaners do not require additional booster pumps which could cost you more. Robotic cleaners have their own filtration system, which means they do not need a built-in pool filter. This prevents wear and tear on the part of the filter, given the large volume of debris collected; thus, prolonging its life. Studies also show that robotic pool cleaners are 93% more energy efficient than standard pool filtration systems. Robotic pool cleaners are easy to use and no assembly skills are required. All you need to do is just plug them to the power source, drop them into the pool, and let them do what they are supposed to do. Some models even have scheduling and timed cleaning features. However, some effort would be required to remove the filter and empty the mesh out, although that would basically be all the labour you’ll have to do. True to their name, robotic cleaners do most of the work and bring additional comfort for you. Robotic cleaners also do not release harmful chemicals and gases whilst cleaning your pool. Pretty much all they do is just vacuum small to large debris whilst consuming less energy. Robotic cleaners do not need a lot of maintenance. This means they do not impose heavy burden on you in terms of cost, assembly, or parts replacement. All you need to do is remove and restore the vacuum filters of these cleaners. Most robotic cleaners have filter bags on top for easy access. In addition, these cleaners provide you with a quicker cleaning time compared to others. Robotic pool cleaners are durable when properly used. Know that spending extra dollars on a durable and high-quality cleaner is a smart move. You’ll surely appreciate this feature when you’re not having it fixed every once in a while. Compared to the suction-side cleaner which is popular in Australia, robotic pool cleaners reduce water wasting and can save you at least 33% of backwash water. Alongside reducing the need for backwashing, they also work to improve hydraulic function by lessening pressure build-up on the main filter system. Robotic pool cleaners efficiently remove large and small debris from the pool, allowing the main filter to more freely collect microscopic particulate matter. Most of the dirt and debris are no longer breaking down, as they are collected by the cleaners. This then reduces chlorine burnout, positively affecting the chemical balance of the water. Some robotic pool cleaner models allow the water to move around as they clean. Water circulation helps maintain the chemical balance, so the water stays within a constant pH or acidity level. Compared to other pool cleaners, robotic cleaners operate under low noise levels. Do not be afraid to spend a few extra dollars to make your life more convenient and hassle-free. You can purchase durable but affordable robotic pool cleaners from OutbaxCamping. Make pool cleaning easier, quicker, and more enjoyable. Visit the site today!